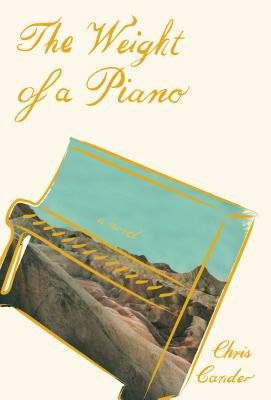 For fans of Ann Patchett's Bel Canto, Annie Proulx's Accordion Crimes, Amanda Coplin's The OrchardistA tour-de-force about two women and the piano that inexorably ties their lives together through time and across continents, for better and for worse.In 1962, in the Soviet Union, eight-year-old Katya is bequeathed what will become the love of her life: a Blüthner piano, built at the turn of the century in Germany, on which she discovers everything that she herself can do with music and what music, in turn, does for her. Yet after marrying, she emigrates with her young family from Russia to America, at her husband's frantic insistence, and her piano is lost in the shuffle. In 2012, in Bakersfield, California, twenty-six-year-old Clara Lundy loses another boyfriend and again has to find a new apartment, which is complicated by the gift her father had given her for her twelfth birthday, shortly before he and her mother died in a fire that burned their house down: a Blüthner upright she has never learned to play. Orphaned, she was raised by her aunt and uncle, who in his car-repair shop trained her to become a first-rate mechanic, much to the surprise of her subsequent customers. But this work, her true mainstay in a scattered life, is put on hold when her hand gets broken while the piano's being moved--and in sudden frustration she chooses to sell it. And what becomes crucial is who the most interested party turns out to be. . .
The Weight of a Piano throws a lot into the Cuisinart  it's immense, intense and imaginative.... There's a lot to process here, but Cander is a smart, deft storyteller who holds her Scriabin-worthy tale together. She understands how something as beloved as a piano can actually be a burden. She also understands the inner workings of a Bl�thner, just as she seems to understand carburetors and brakes. I'd probably let her work on my piano  or my car. Chris Cander proves herself a masterful, almost musical handler of volume and emphasis in words, knowing when to write a scene in a voice big and booming, and when to allow her approach to grow quieter.... The reader is left to contemplate loss and legacy, the novel's notions of poetry and color and imagination lingering like the notes of a distant song. The late-in-the-novel revelation of how Katya's piano travels from Khrushchev's Russia to sunny California is ably and convincingly told.... Cander, who has written two other, well-received novels, has a gift for offering readers access to unique experiences.... She conveys her characters' emotions in equally lyrical ways.... Their journeys to enlightenment, as well as the Bl�thner's transcontinental travels, make this a worthy novel despite the story's occasional sluggishness.